Is LG about to take another stab at the tablet game? LG may be getting back into the tablet game in a big way, with reported plans to push out a new slate in the third quarter of this year. We haven't seen LG release a tablet since its not-so-impressive Optimus Pad two years ago, which arrived running on Android 3.0 Honeycomb but failed to resonate much beyond that. The latest story, translated from Munhwa, gives nothing on what specs we might be expecting this time round though, or if it will be running on Android. 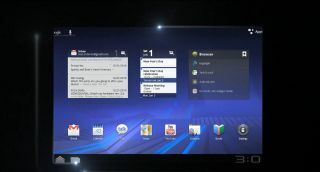 Could we see LG go down the Windows tablet path? While unlikely, it's certainly not out of the question. While it was a speedy device, the LG Optimus suffered thanks to its steep price tag. It also had a 3D camera but lacked a 3D screen, which didn't make an awful lot of sense at the time. But LG's business has picked up and thanks to its phones doing quite well, the company is in a better position to have another try at the tablet market. LG is currently revving up for its 'Save the Date' event at the end of this month, where we're expecting the launch of the Optimus G2.